Luxury design, 4K screen and software managed by Android TV. These are some of the features of the new BeoVision 14 from Bang & Olufsen, a Smart TV full of technical and unconventional details, with a very particular aesthetic, and very different from what we're used to seeing on televisions that are commonly found in the shops. A new range of TVs designed for people interested in performance and image. The BeoVision 14 models are equipped with the Google, technology platform, where you can access applications and streaming content from Google Cast and with Ultra HD resolution. 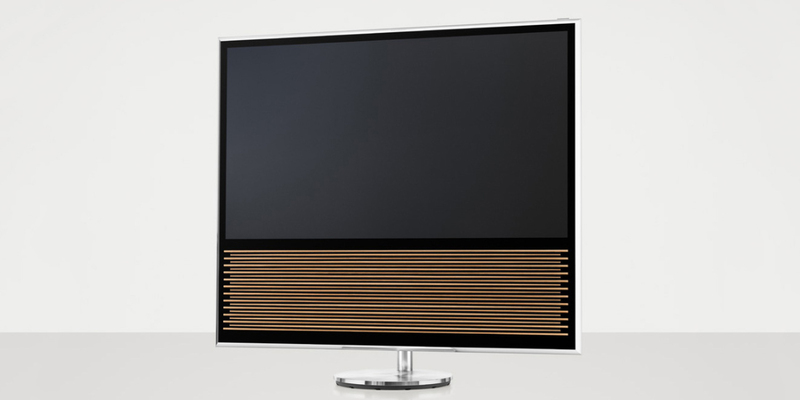 To differentiate the BeoVision 14 from other televisions, it has an aluminum frame that houses the screen and speakers, they decorated on the outside with a customizable finish, and whose most interesting version is undoubtedly the slats in oak, with a thickness of between 3 and 6 millimeters. The end result is a device that combines among different materials. Besides aluminum, glass, fabric, wood and plastic. The remote BeoRemote One integrates a Bluetooth module and can communicate with an application for iPhone and iPad. It has a power clamp that allows to turn the TV on any position while sitting on the couch or in a chair. From a technical standpoint, it also includes support for PCM, Dolby Digital, Dolby Digital Plus 5.1, DTS Digital Surround and HE-AAC technology multichannel audio formats, LC-AAC, MP3, WMA, WMA and FLAC (although no HDR). The front glass is equipped with anti-reflection coating to provide an optimal viewing experience even in brightly lit environments. In addition, the automatic control system detects the level of image light incident and dynamically configures settings images. For sale, we find two different models, one of 40-inch (96.6 x 89.6 x 6.4 cm, 37.4 kg) and other of 55-inch (129 x 110.3 x 6.4 cm, 59.5 kg). Among the various finishes for the speaker grille, the buyer can choose, in addition to oak, pieces of beige, green, red wood, black, white and gray cast iron. Prices are in the high-end market: $ 6,700 for the smaller version (in Europe for € 6,365), $ 9300 for the larger variant (€ 8,565 in Europe).